Now offering 10% discount off franchise license fees for Veterans! Garage Experts is ranked as one of Entrepreneur Magazine’s top 500 Franchises for three years in a row. 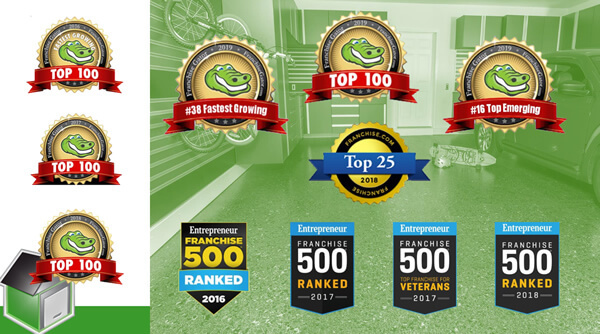 They were recently ranked #38 in Franchise Gators Fastest Growing Franchise Category, and #18 in Top Emerging Brands. GarageExperts also achieved Top 25 ranking through Franchise.com. They believe so much in their program, if you don't make $750k in gross sales in your first 3 years, they'll refund your fees via a 10-month royalty holiday. 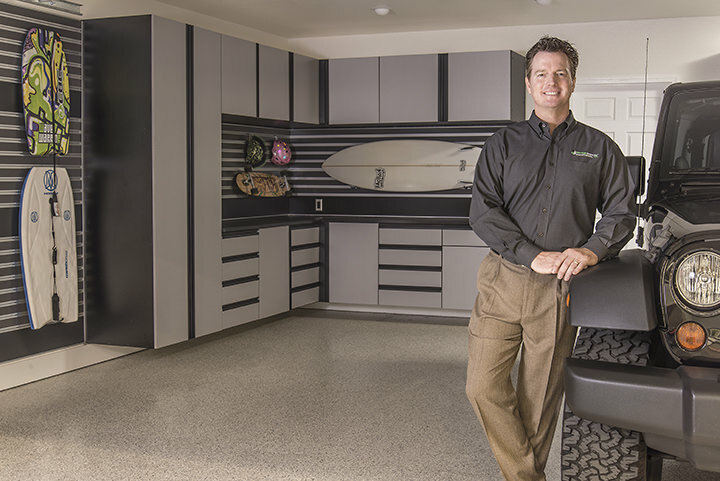 Garage Experts® is a national franchise system that specializes in the installation of Garage Floor Epoxy Coatings, Garage Storage Cabinets, and Garage Slat-Wall. Each franchise goes through an extensive 5-day training program where they learn how easy it is to install our floor coatings and storage products. 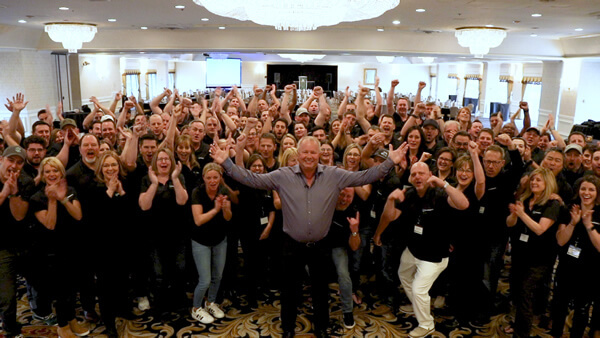 GarageExperts Franchise Business Coach’s also provides continuing sales, and operations support to ensure our Franchise partners achieve their goals. The GarageFX Flooring ™ coating system we use has been installed on over 40 million square feet of home and industrial concrete without failure. Our cabinets are sourced and produced in the USA using state of the art CNC machines. All backed by an industry leading Lifetime Warranty. Garage Experts® is positioned well to provide the services needed by homeowners who are updating or enhancing their garages every day. The demand for garage home organization products is expected to rise rapidly — 5.6 percent per year — through 2017, outpacing home organization product demand in general. 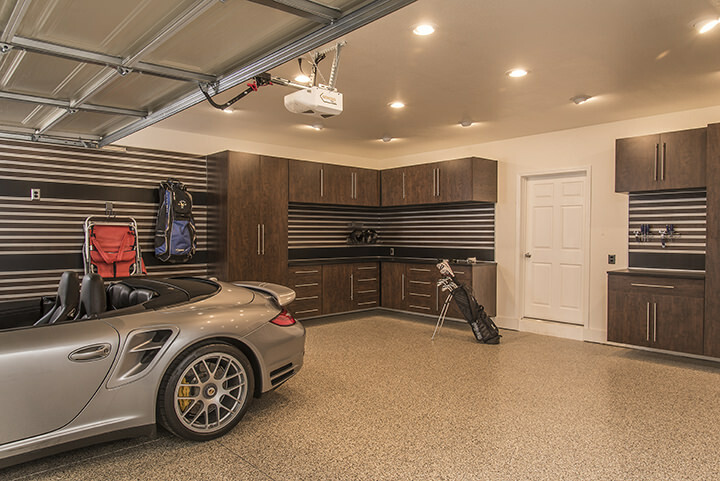 The 2013 Vance Research Cabinets and Closets study indicated that several of the top homeowner garage upgrade requests include: cabinets, Slatwall, and epoxy flooring. Please fill out the form below if you would like to receive more information on how to become a Garage Experts® franchise. Once filled out you will be sent further details on this great opportunity and then be invited to our Discovery Day where you can meet our team and get a hands on viewing of our system to see why the Garage Experts® is the right fit for you. Please call Dana Newman directly at (714) 829-2517. Garage Experts is currently accepting inquiries from the following states: Wyoming, West Virginia, Wisconsin, Washington, Vermont, Virginia, Utah, Texas, Tennessee, South Dakota, South Carolina, Rhode Island, Pennsylvania, Oregon, Oklahoma, Ohio, New York, Nevada, New Mexico, New Jersey, New Hampshire, Nebraska, North Dakota, North Carolina, Montana, Mississippi, Missouri, Minnesota, Michigan, Maine, Maryland, Massachusetts, Louisiana, Kentucky, Kansas, Indiana, Illinois, Idaho, Iowa, Hawaii, Georgia, Florida, Delaware, Washington, D.C., Connecticut, Colorado, California, Arizona, Arkansas, Alabama, Alaska.